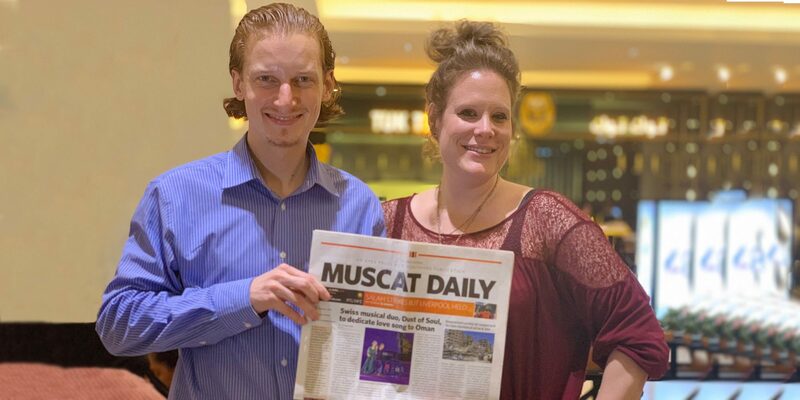 2018’s 48th Oman National Day is finally going to be the time when the two artists Singer Dusty and Pianist MiKey from the Swiss musicians duo Dust of Soul celebrate their Swiss Love Song for Oman on stage. 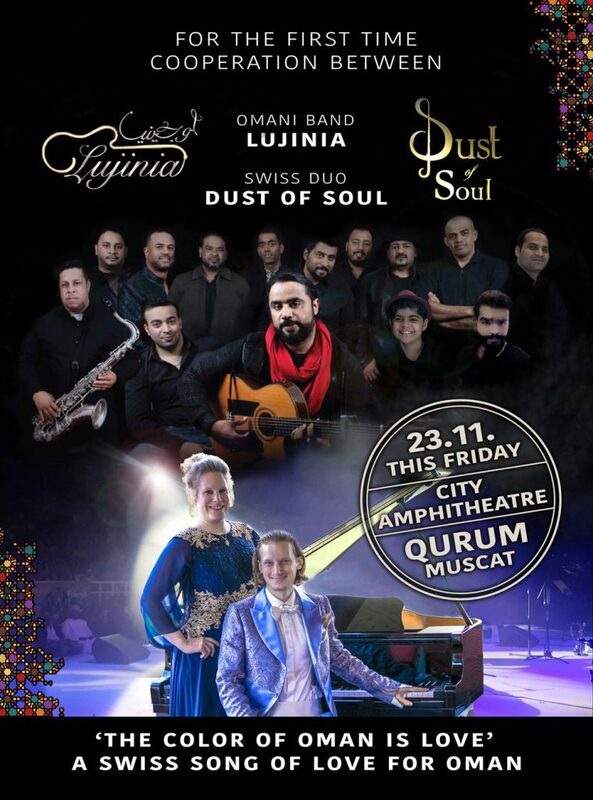 The two Swiss perform together with the internationally known Omani Band «Lujinia» on the biggest stage of Oman at the City Amphitheatre Qurum in Muscat. History is being written when two Swiss artists go on stage for the first time on an Oman National Day performing a composition they devote to the Sultanate. In Europe it is often spoken of Oman as the Switzerland in the Middle East. Indeed there are many similarities of the two countries of peace. The musicians duo’s song «The Color of Oman is Love» tells about Oman, its beauty, history, and mysteries. 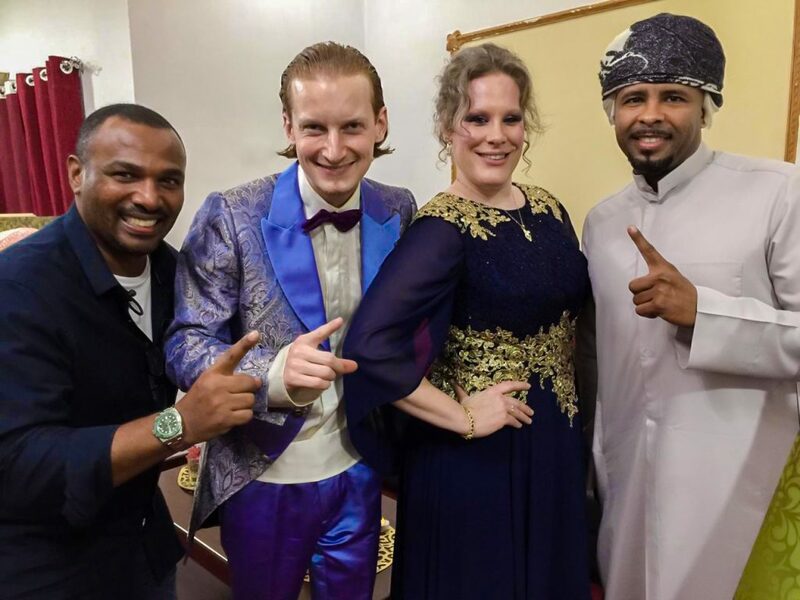 Although the talented Singer Dusty only written the lyrics of the song within 20 minutes on her first evening in Muscat just a few hours after she landed. And she did not even see the land. The song tells the story from her heart. 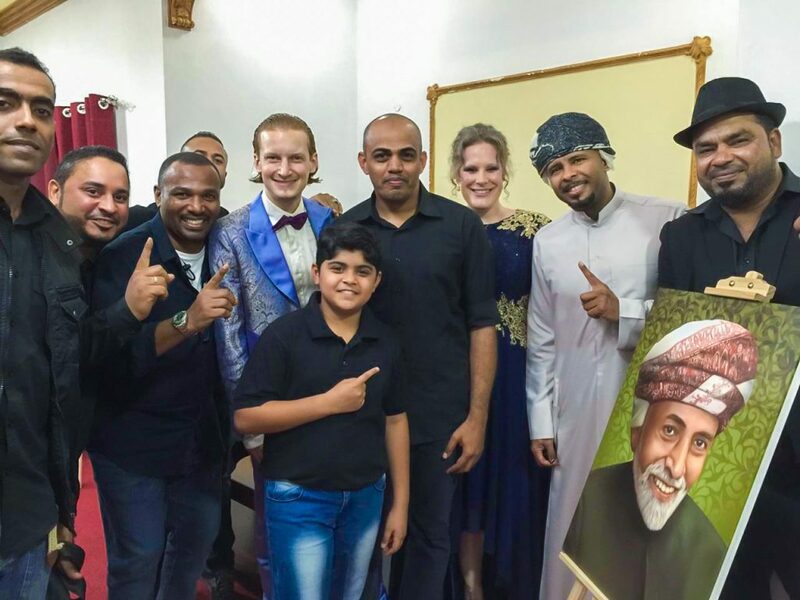 The duo came back to Oman several times after their first journey in February 2016. 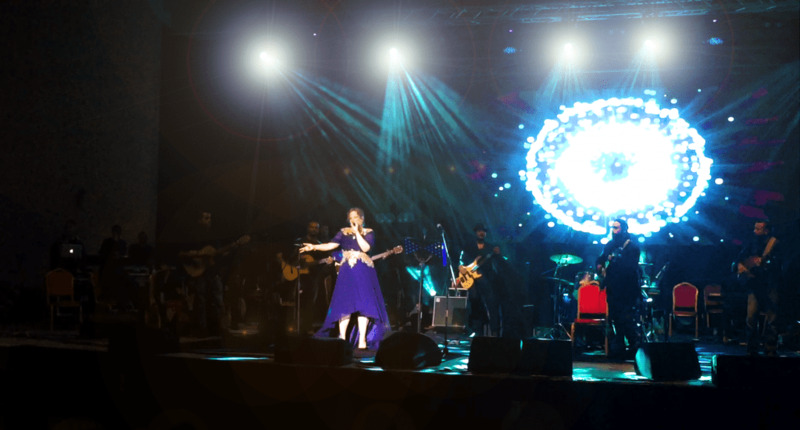 Music projects with Omani children – so called «Kids Musical Days», a cultural-fusion event with Omani multilingual poet Lubna Al-Balushi, the opening performance for the MTV India Ayushmann Khurrana show at the City Amphitheatre Qurum in October 2017, or their latest Swiss-Indian project that they got inspired for by the highly creative Indian community living in Oman. 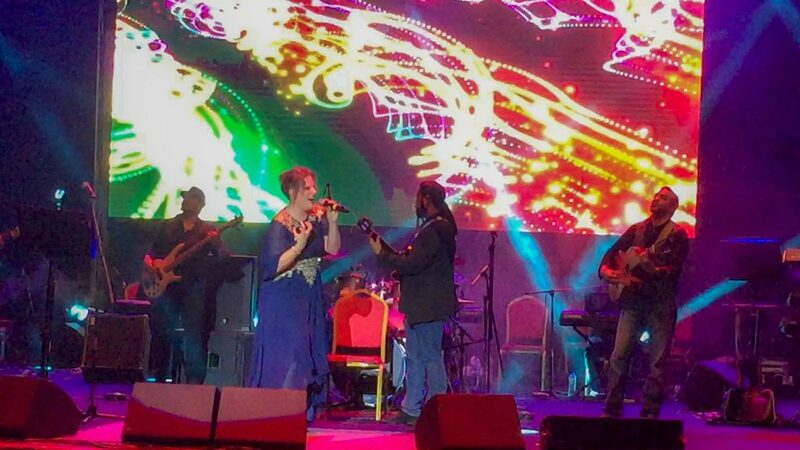 The duo always dreamt of giving their Love Song for Oman in a very special way to the people of Oman. 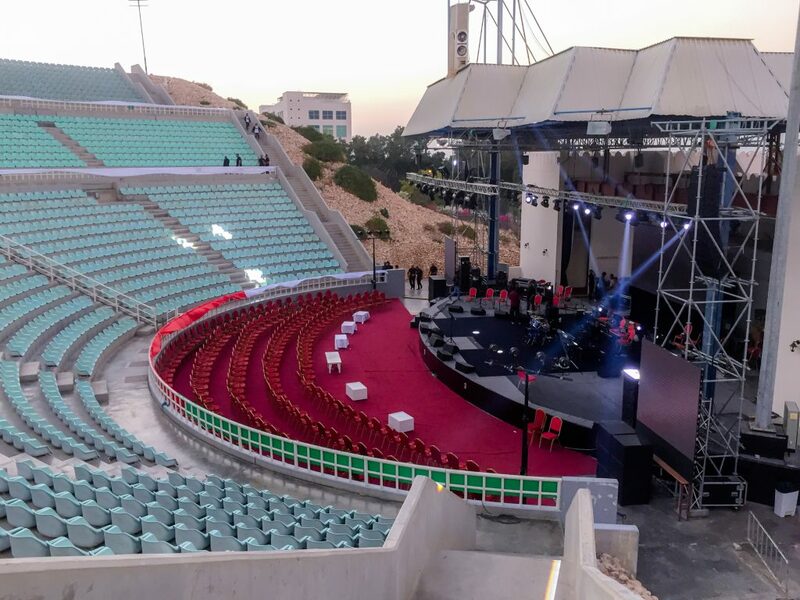 Oman’s 48th National Day Festival at City Amphitheatre Qurum is just perfect. 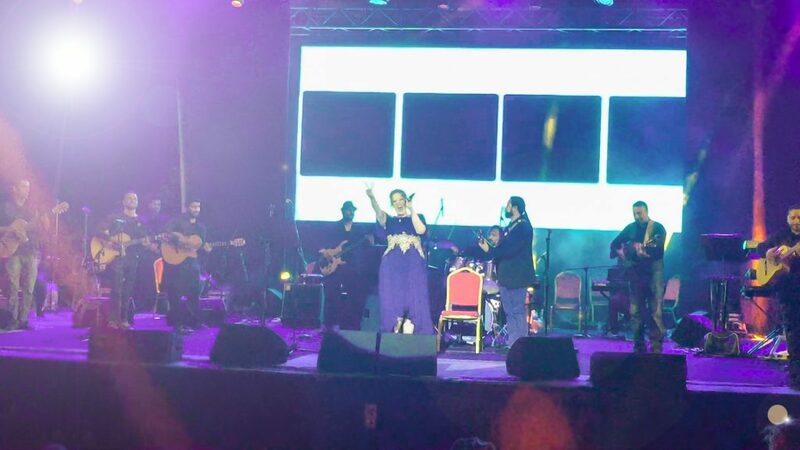 And the performance with «Lujinia Omani Band» is just what the artists wished for. 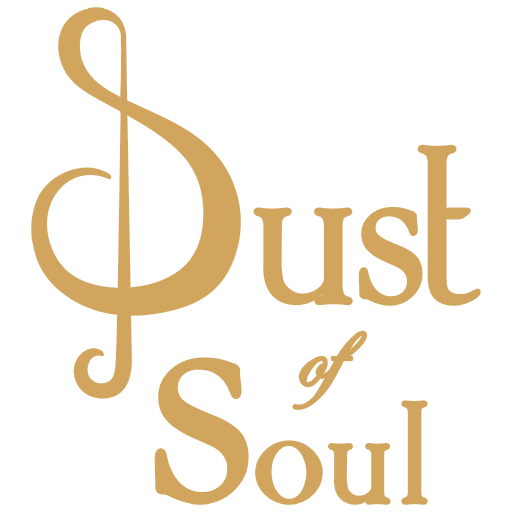 Dust of Soul and Lujinia Omani Band got for acquainted through Instagram while seeing posts from each other. 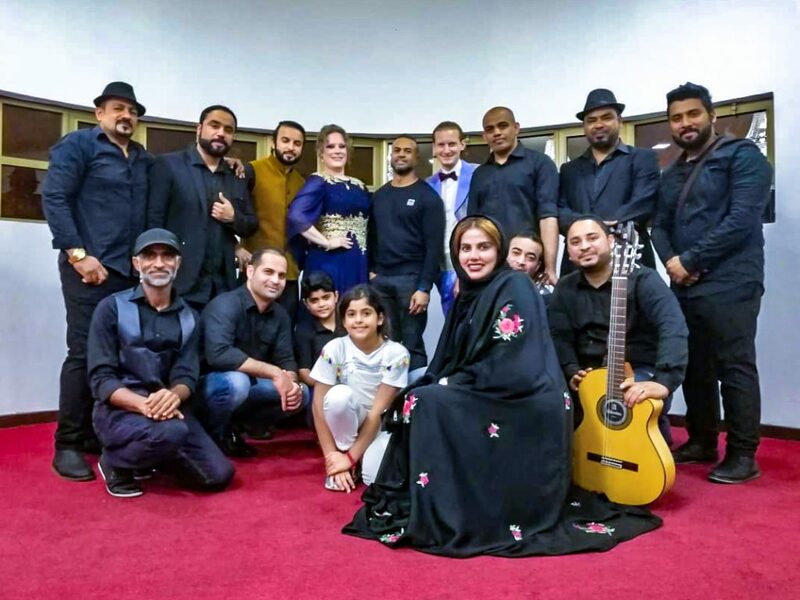 Then they got in touch and on 23rd November they are performing their Song «The Color of Oman is Love» mixed with Western, Arabic, and Flamenco styles. 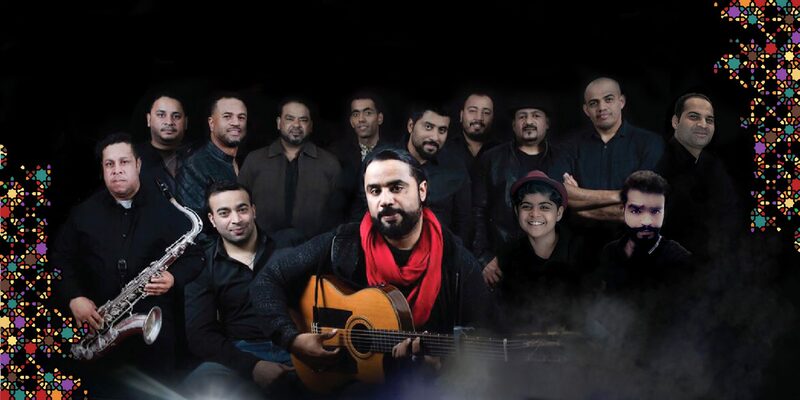 Lujinia Omani Band is famous for their Flamenco style mixed with Balushi, a native language and culture among many Omanis. On Wednesday, 21st November the two bands got interviewed by Lakshmi Kothaneth in «The O Show» from the Oman newspaper «Oman Observer». The show wraps up the story of the Omani band and introduces the Swiss artists performing with them in a 20-minute documentary. 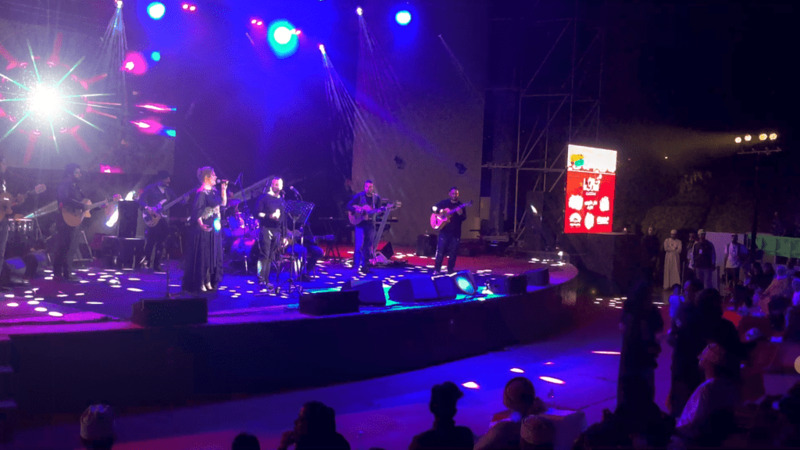 The Swiss Love Song for Oman with Dust of Soul in collaboration with Lujinia Omani Band debuted on Friday, 23 November 2018. The energy was very high and the stadium loved the fusion of Swiss and Omani cultures and music styles coming together. 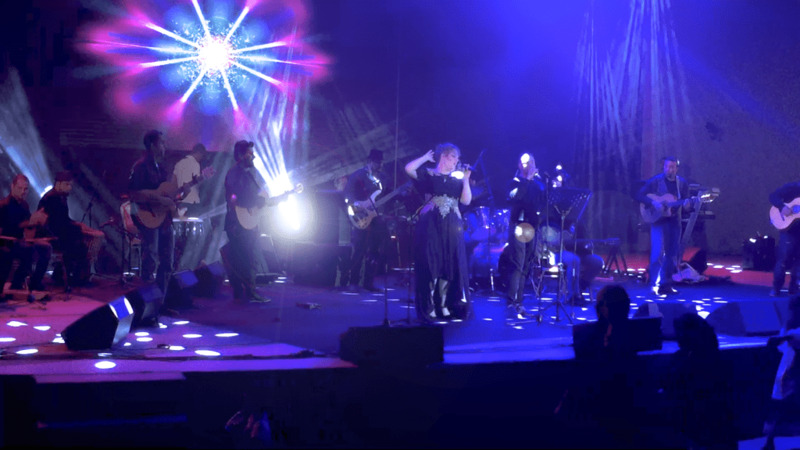 Dust of Soul produced a concert film of the Opening Performance of the 48th Oman National Day Concert Show Festival of the Kuwaiti «Miami Band».